I have fond memories of a particular globe of the world when I was very little – it had raised mountains and textured ocean currents and I liked to trace my finger along the mountain ranges and over the vast oceans. That was as about as ‘interactive’ as globes got in the seventies so when I spotted the superb felt globe by Jennifer Talbot, it was love at first sight. 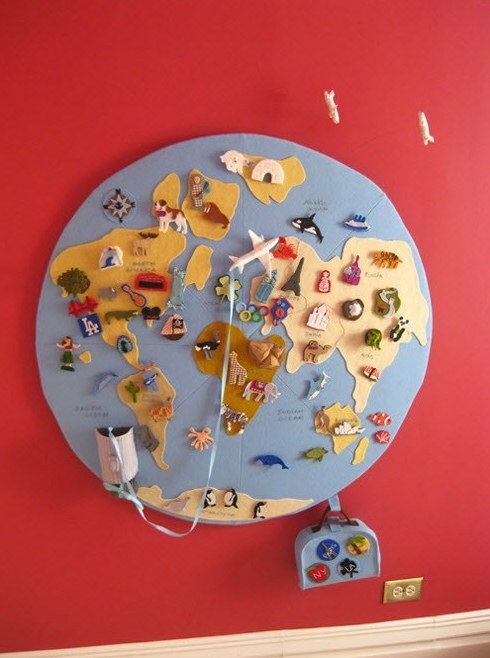 The globe is made from wool felt and includes lots of little pieces that attach with Velcro and can be moved around. The sweet little suitcase hanging at the bottom holds all the pieces and there are also felt airplanes, two suspended above the globe so that they appear to be flying and one on a ribbon, housed in its own airplane hangar. 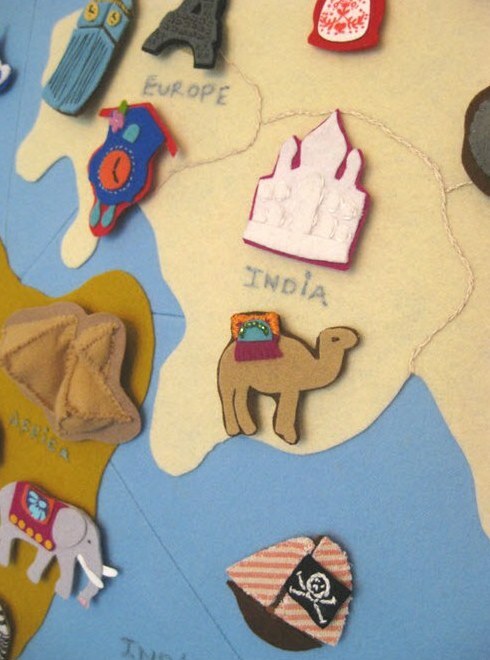 There is an obvious educational element to this beautiful piece but I think kids will have fun creating worldwide adventures and arranging the pieces in whatever combination they dream of. 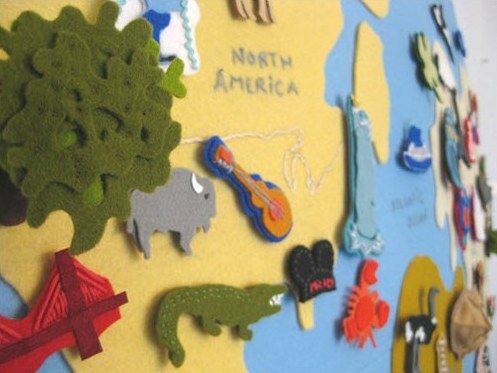 Clever crafters amongst us might like to attempt something similar – perhaps a map of Australia featuring landmarks that your family have visited? Okay, I’m off to create a little felt Big Banana! Jennifer Talbot is a interior designer based in the US.